An 11-minute drive from Walsall, Emerald House of Cars offers pre-owned Hondas. 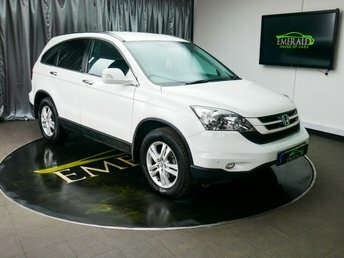 Emerald House of Cars offers used cars from a variety of major brands, such as Honda. Established 58 years ago, Honda has become a superior car and motorcycle manufacturer and the company has been awarded the What Car? Most Reliable Car award for the Honda Civic every year for nine years consecutively. Emerald House of Cars has friendly staff who deliver first-rate service and we are prepared to go to special lengths to make sure that you are totally satisfied with your new car. To browse our extensive variety of vehicles, visit us in Wednesbury, near Walsall and a member of staff will be glad to show you round and advise you further on our vehicles and services.